by Howard Thurman. Beacon Press, 1999. 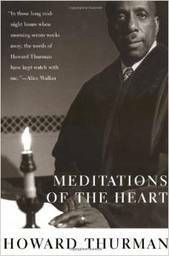 Prolific author, educator, and influential Christian leader Howard Thurman’s (1899-1981) classic collection of meditations stands the test of time. Deeply spiritual and wise, Thurman’s work continues to be read and appreciated by contemporary readers because it nurtures the soul today just as it did when it was first published in the 1950s. In Meditations Thurman reflects on common and uncommon topics: the gift of humor, personal responsibility, recalling the blessings of a previous year, righteousness, unity with God, human relationships, pain and sorrow, and endurance. The dozens of meditations are a source of inspiration, strength, and sustenance for clergy and laity who serve others. Thurman’s writing reflects his era, however. His language is not inclusive, even while his ideas are inclusive and appropriate for people from any and all faith traditions. The book can be a personal devotion, the focus of a retreat, or raw material for small groups.